1. 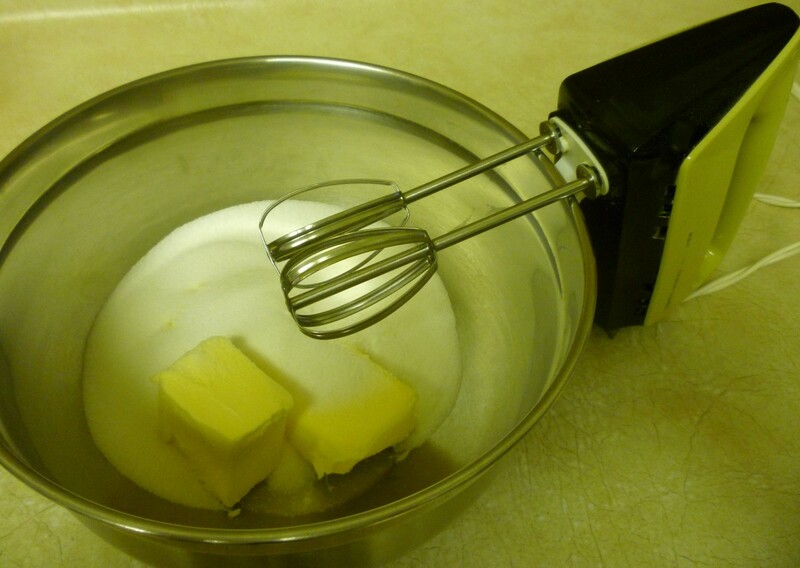 The first thing to do is to cream the shortening and sugar together. This can be done with the help of an electric mixer or done by hand. 2. Next, add the molasses and egg. Mix until well blended. 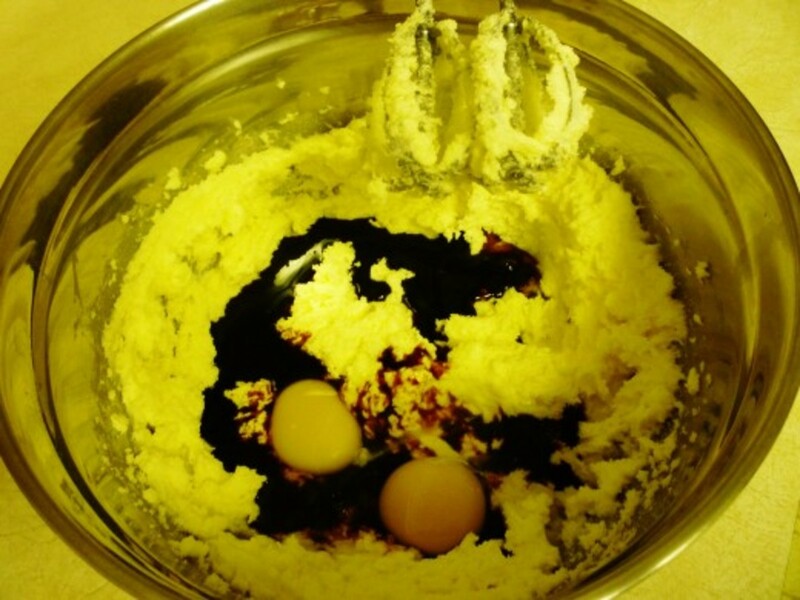 The batter will become brown in appearance after the molasses is fully incorporated. 3. Add the flour, baking soda, cinnamon, cloves, ginger, and salt. Although the recipe did not call for it, I generally sift all of these dry ingredients together in another bowl and then add them gradually to the batter blending well after each addition. 4. After the batter is well mixed, finally add the raisins and nuts. You might wish to use a wooden spoon for these final additions as the mixture becomes quite thick at this point. 5. This next step is where you need the additional granulated sugar. Place sugar in a dish. Take bits of the dough and use your hands to roll into ball shapes approximately one inch in diameter. Place into the sugar and coat the balls with sugar by rotating them and then place onto greased cookie sheets spacing the cookie balls about two inches apart leaving room for them to flatten and expand as they bake. 6. Bake in a 375 degree Fahrenheit oven for eight to ten minutes or until golden brown. The raisin molasses sugar cookies form a nice crackled appearance when baked. 7. Cool on wire racks before packaging up to keep or give away as gifts. A side benefit to baking these delicious homemade cookies is the beautiful fragrance that fills the house because of all of the aromatic spices used in this recipe. This can be a kid-friendly recipe. Those little hands can help their mom or dad, or whoever is the baker in the family by rolling those balls in the sugar and placing them on the baking sheet. Watch their eyes fasten on to those baked cookies when they come out of the oven knowing that they played a part in their preparation! Old typewriters and how this recipe came to me. Remember the old days when people used typewriters? I took typing as an elective in high school, and it served me well at that time and also in college when typing out assignments. The jump from the old manual kind of typewriter to the electric ones was terrific! Such an advance in technology! I remember having to learn how to barely touch the keys as compared to using the older manual kinds where one applied more pressure on each individual key, or one would have a series of the same letter typed onto the paper by mistake. Of course one had to insert paper and roll it to the right position before beginning to type. And then if one wanted more than one copy, one would add carbon paper between the two sheets of paper. Liquid white out was brushed onto letters that one might have typed by mistake although it was always still slightly discernible and if it were a professional letter or paper...it would most often have to be retyped instead of sent that way. There were no backspaces as we have on computer keyboards today. Ribbons containing the ink would eventually have to be replaced as the keys striking them over and over again used up the ink and letters would become fainter and less readable. My mother often typed letters to me as she worked alongside with my Dad in his Real Estate office in McAllen, Texas. They did property management among other things and when the times of the month were less hectic that old typewriter got quite a workout. I still have that typed letter from 1970 when she sent me recipes like this one that she thought I would like. 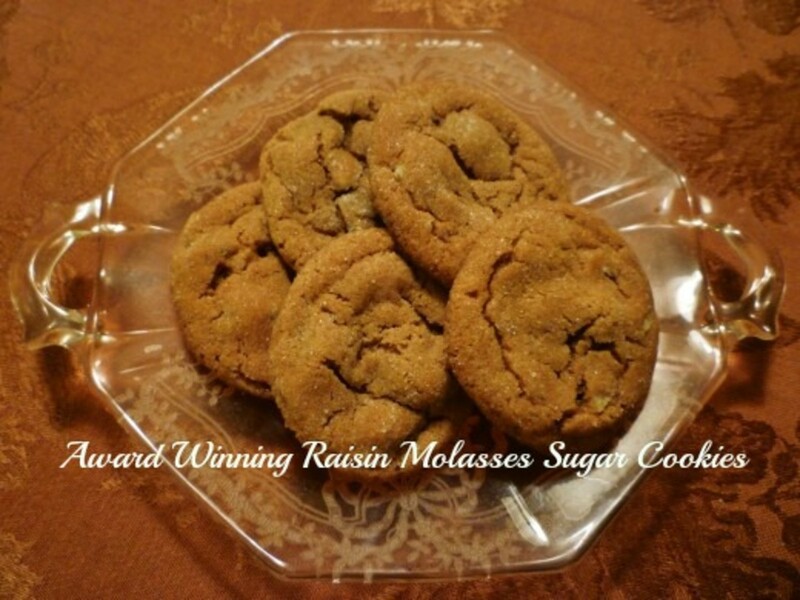 Wish I could give a sample raisin molasses sugar cookie to each of you readers of this post. Since that is not possible, you will simply have to follow the instructions with accompanying photos of this family recipe and make them for yourself. Please leave a comment below if you like the sound of this recipe or have tried them. Thanks! Do you make homemade cookies? I am guessing that we are of a similar vintage if you well remember white out and old typewriters. Ha! This cookie recipe is good. Hope you give it a try. Hmm yummy. Love the additional typewriter info. Remember white out so well. Thanks too for the info re raisins. Love them and seems quite healthy. Hope you give this recipe a try. Am sure you will like it. Thanks for the 5 star rating, votes and shares. A very healthy cookie recipe. Interesting reading about this family recipe, Peggy. Voted up, useful, interested. Pinned, shared on fb and HP and tweeted. Rated 5 stars. Sure, yeah I did not have as much trouble adjusting to electric typewriters as I did to computer keyboards. With electric typewriters, you still type with your fingertips and strike each key firmly (but quickly). With most computer keyboards, it is best to use the pad of your finger rather than the fingertip and barely touch the key. Actually, I purchased a Dell keyboard that is well known for having action similar to an electric typewriter keyboard. It has raised, distinct keys and definite, slight resistance. I really cannot type accurately on a keyboard that has no definition! No, I have not seen those keyboards. Interesting! I remember when we went from the manual typewriters to electric...that was an adjustment because it took such a light touch in comparison and it was so easy to have multiple letters when only one was intended to be typed. Ha! Guess there is no disguising our ages! :)) Thanks for your comment and the rest. I just love molasses! So tasty and healthy! Interesting side jaunt about typewriters! I also learned on a manual typewriter and used an old fashioned Royal well into the 80s. Have you seen these USB Typewriter keyboards that repurpose vintage typewriters as computer keyboards? If you have never had cookies with molasses as an ingredient, you are in for a treat. These Molasses Sugar Cookies are still my husband's favorite cookies. Enjoy! Thanks for your comment and votes. I've been missing out. Never had cookies made with molasses before. This recipe gives me that chance. Forwarding this to the family cook. Voting this Up and Useful. 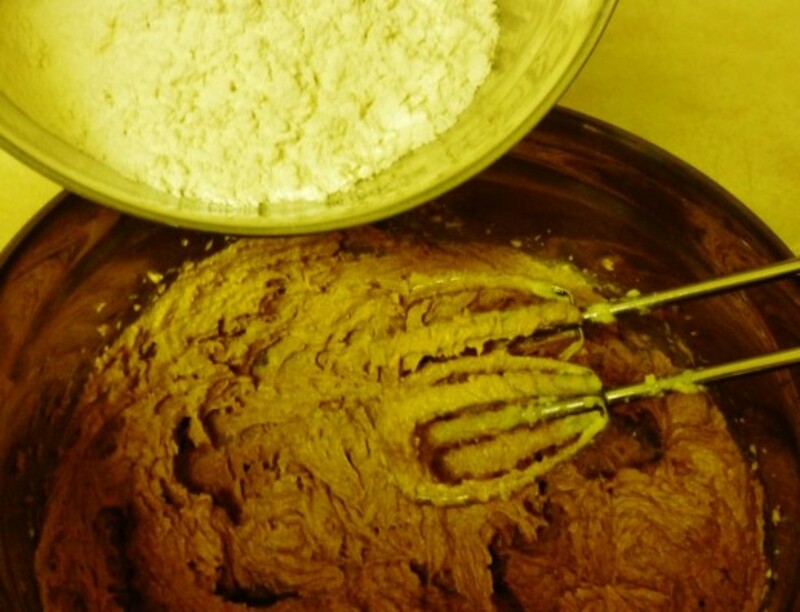 So you need an emergency infusion of 2 or 3 pounds of raison molasses sugar cookies! What is the occasion? Just the munchies? Haha! Thanks for your comment. Nice to know that you will be trying these good cookies soon. Thanks for your comment and the share. How well I remember the mess with carbon papers and the old manual typewriters. Ha! As to raisons being sticky...agreed. Brushing of teeth especially after eating any kind of sweets is probably a good idea. Thanks for the congrats on this cookie hub and also your votes and the share. Appreciate it. Hope you enjoy these cookies when you get around to trying them. Thanks for the bookmark and vote up. These raison molasses sugar cookies not only look good, they also taste good. Thanks for your comment. Thanks for the congrats on getting hub of the day. It is taking me a while to get around to responding to the flood of comments, but I appreciate it. Thanks for your additional comment. 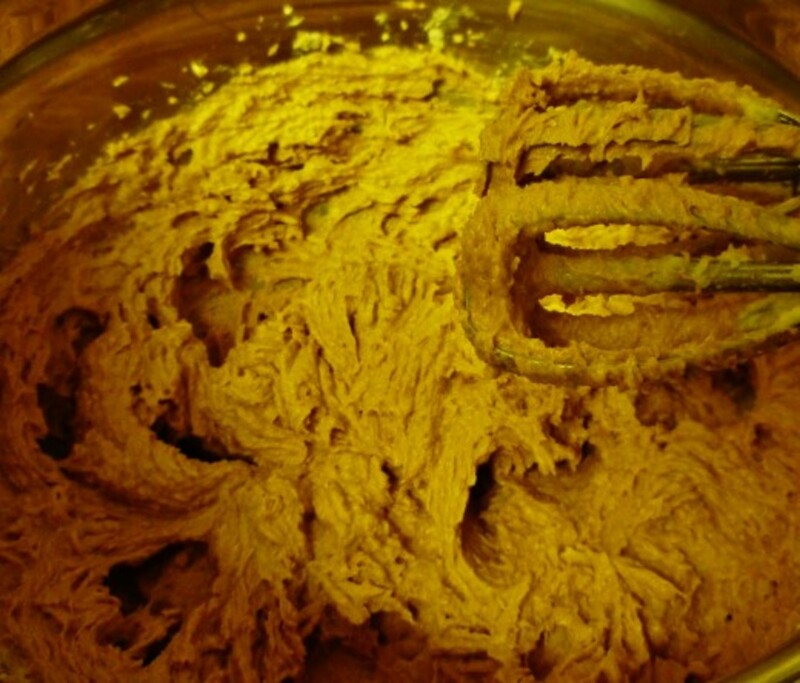 So glad to hear that you liked these step by step photos of making these delicious cookies. Enjoy! Thanks for your comment. 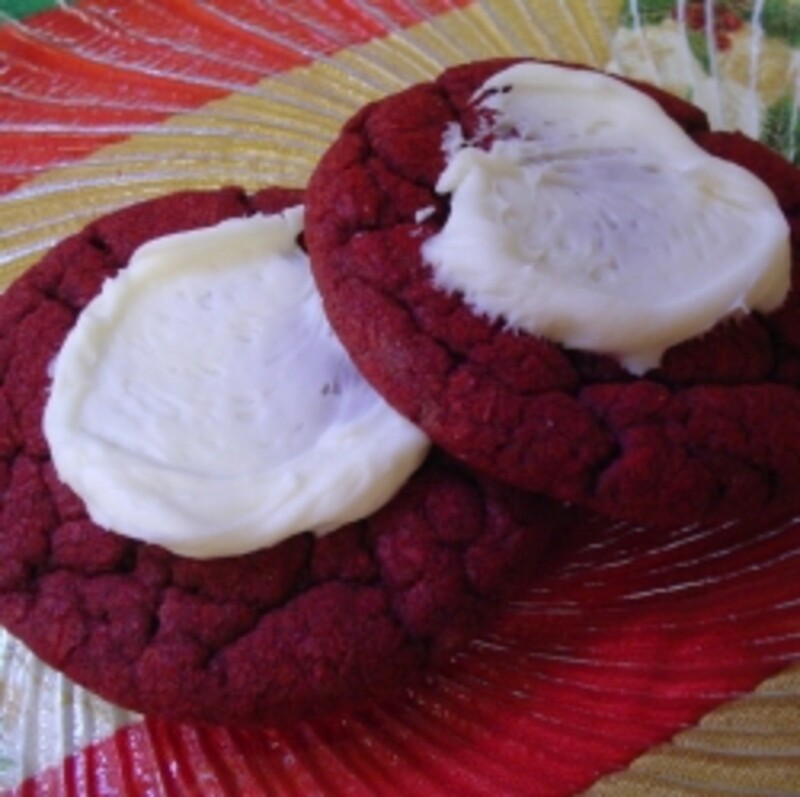 Enjoy these cookies when you decide to bake them and try them. Thanks for your comment. Send cookies immediately - preferably 5 or 10 pounds or more. In remembering the old typewriters, remember the carbon paper we had to use for making copies? The correction tape...yes...and also the liquid whiteout. Using a backspace on a keyboard with computer is SO much easier! Nice to know that you will be trying these raison molasses sugar cookies. Looking forward to hearing back from you after you taste them. Thanks! Hope you like these cookies! Thanks for your comment. Let me know what you think when you bake these cookies. Am sure that you will like them! Thanks for your comment. 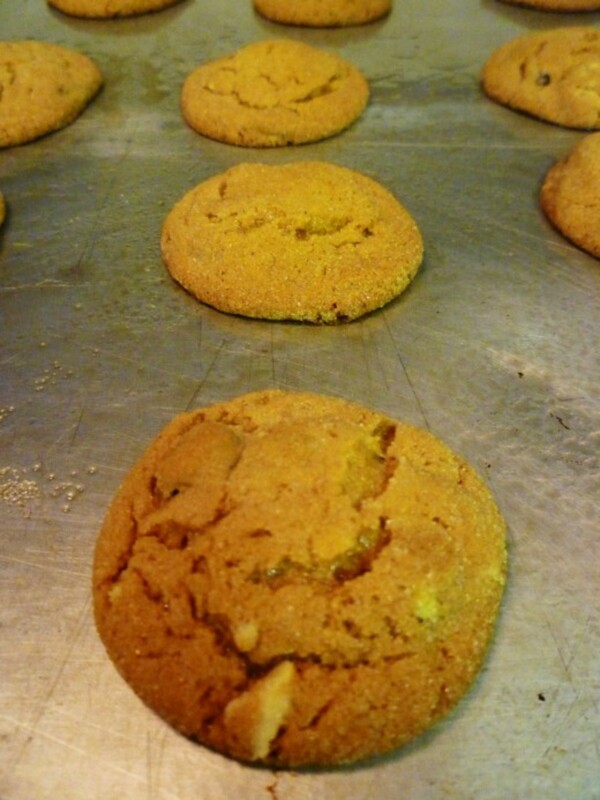 Nice to know that you liked this raison molasses sugar cookie recipe. Thanks for your comment. As a friendly warning to all sweet tooths, this hub will ignite a massive cookie craving! Congratulations for being awarded The Hub of the Day, Peggy. Although you are no stranger to such accolades, surely it brings a smile to the face, just like how your cookies did to mine. Lovely hub. Hope you enjoy these cookies. Thanks for your comment. Yes, raisons and molasses make for a great combination in this sugar cookie recipe. Hope you let me know how you liked them after you follow the recipe. Thanks. Nice to know that you made these raison molasses sugar cookies and really liked them. Thanks for the feedback. Hope that you try out these molasses sugar cookies recipe soon. Let me know what you think. Thanks! Emergency - Two or three pounds needed immediately. Congratulations on Hub of the day award! Great recipe and my favorite too. Will sure follow you recipe. Bookmarked and shared. You are safe! 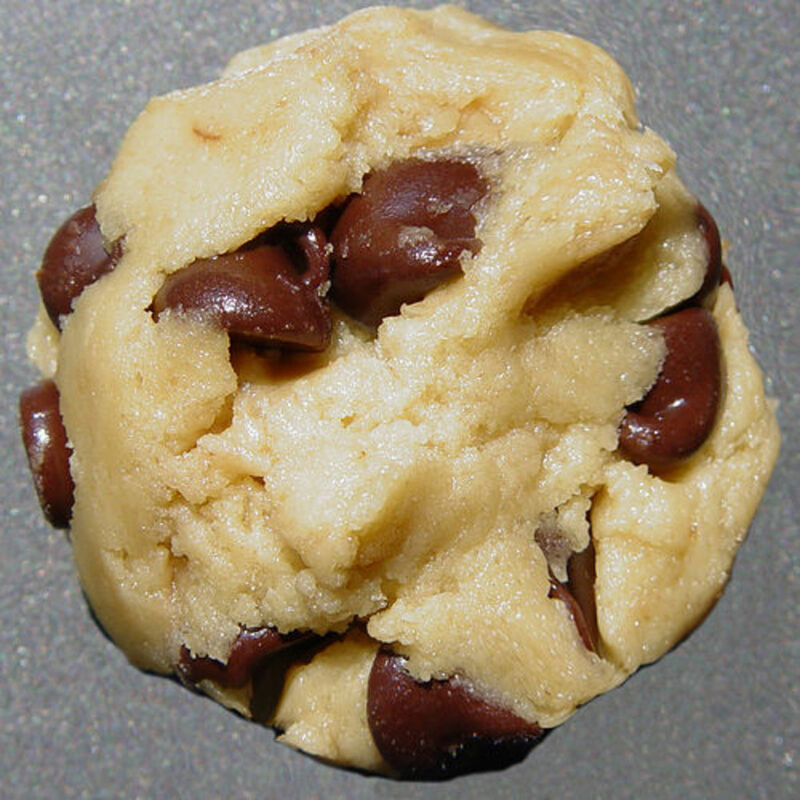 From what I know, one cannot gain calories by just looking at these cookie photos. Haha! Thanks for your comment. I also remember going from manual typewriters to the electric ones. The amount of pressure on the keys was so different and took some adjustment to learn. Yes...times were surely different. Enjoy these molasses sugar cookies and thanks for your comment. Never thought of using them for ice cream sandwiches! Mmmm! Congratulations on HOTD!! This was a really well-done recipe with step-by-step photos. Your top photo of the plated cookies is absolutely mouth-watering! Good job, by the way with that--monochrome color scheme--not the easiest thing to pull off. Ah, yes. The old manual typewriters. I had a portable, and sometimes, I wish I had not given it away. There are some things that can be done, playing-with-the-spacing to make interesting patterns or line breaks that are impossible to do with a word-processing program. And ugh--carbon paper! And if you made an error, you had to insert multiple scraps of paper in behind each carbon to keep the erasure on your original from smudging through the carbons, which then had to each be erased individually! That part, I do not miss. So yummy. Well explained recipe. Definitely bookmarking and voting up! Congratulations on getting Hub of the Day award! Ah yes...those were the days of using typewriters. I took a class in high school which turned out well for typing term papers there and in college. My how times have changed! Thanks for your comment and the congrats. That German tradition was carried on in my family and to this day I bake many different kinds of cookies...this molasses sugar cookie being one...at Christmas and give them away as gifts. Thanks for the congratulations and for your comment. Enjoy these when you get around to baking them. These cookies look delicious!!!!! What a wonderful hub and recipe. I'm going to try these out. Just the title alone has my mouth watering. LOL Congrats on getting the hub of the day, the recipe is great. Thanks for the congratulations on getting hub of the day. It was quite a surprise as this hub had been written a while ago. Hope you enjoy these cookies and thanks for your comment. 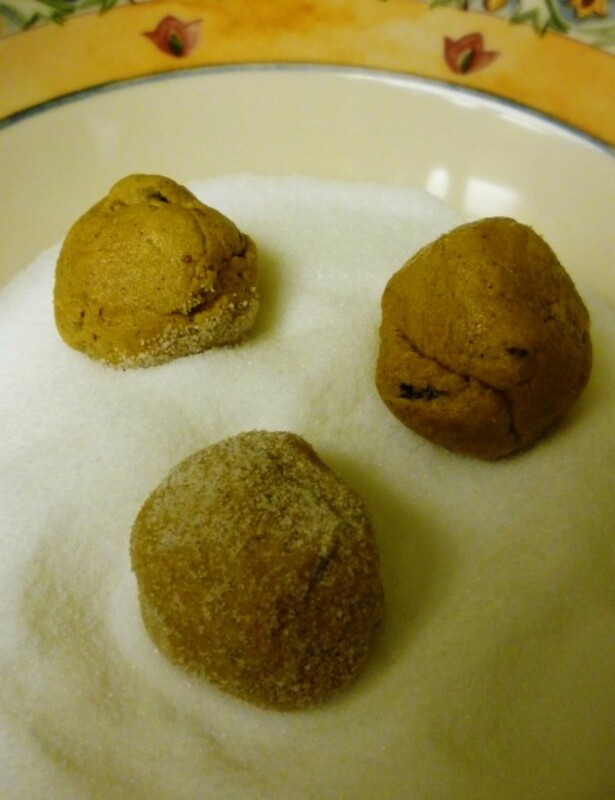 Have fun making these molasses sugar cookies with your kids. Thanks for your comment and votes. Hope you can find your mixer. If not...it could be made without one...the old fashioned way, with lots of stirring and mixing. Ha! Enjoy these molasses sugar cookies and thanks for your comment. My mother used to do a lot of typing of letters when she was not busy doing other things in my Dad's Real Estate & home building office. It was always nice to get these letter exchanges from her and this particular one had several tried and true recipes in it that she knew that I would like. For some reason I just kept the entire letter. Thanks for your comment. Hope you like the cookies! Will bookmark these. They look good. Congrats on hub of the day. Your delicious looking picture pulled me into this cookie recipe along with the summary with your teaser about the typewriter. Oh how I remember "flying flags" and "home row" when typing on manual typewriters in high school. And then the transition to the IBM selectric and the white tape correction strips that came in colors for the carbon copies. Some of my best recipes are typed on 3 x 5 cards that have yellowed over the years. This recipe will be bookmarked and definitely used by me. Thanks so much for sharing it. Great hub Peggy W. I love cookies.Up and useful. Looks delicious. Should try this. Thanks! Voted up! Raisins and molasses - a combination I've tnever thought about. Can't wait to try them out! This happens all of the times Peggy...I'm getting ready to have my cereal for breakfast and see these delicious treats and want them instead! I would really like to try this out... thanks for sharing! Your cookies look delicious and they are so pretty the way you have them displayed on the glass dish in your first photo :) I definitely plan to try your recipe--maybe turn them into ice cream sandwiches--yummy! I remember the days of the typewriter as well. When I was in highschool typing class there was only one electric in the class and the rest were manual. We all took turns on the electric. Wow! Things have changed. Enjoyed your hub. Voted up! Love this idea. Brought back memories of learning to type on a typewriter. looks yummy! congrats on Hub of the Day! I love your cookies Peggy. I wish I can have that now. I usually bake a lot of different kinds of cookies during Christmas time in Germany. It is a German tradition to bake a lot of cookies during advents time. Voted up and congratulation for the hub of the day. Bookmark for later use. I LOVE homemade cookies! Thank you for sharing your mother's recipe. Your hub and photos are beautiful. Congratulations on HOTD! Hurray! Congrats on the Hub of the day! I like cookies. Your pictures looked inviting indeed! This recipe sure help many to cook yummy and healthy homemade cookies as well as extra kitchen-fun for kids. Well done! Congratulations on the "Hub of the Day" Peggy! This hub is totally "mouthwatering" and as brilliant, beautiful and interesting as all the other hubs you have created. Your photos are just amazing! However, they have given me a cookie craving like you won't believe!! I'm off to the store and buy molasses. . .Now if I could only remember where I put my electric mixer. . . It's so neat that you have your mother's original typed letter with the recipe in it. Congrats on a nostalgic Hub of the Day award! Just read the sweet news of your book going to be published! These raisin molasses sugar cookies are sweet treats...but not as nice to know as your sweet news! Congratulations again! Your weekend is bound to be sweet! What a great hub Peggy and another for me to vote up and bookmark. I also bake many more cookies than I eat and use them to primarily give away...particularly this time of year. Also not much on desserts. Let me know how this compares to your molasses cookie recipe. Thanks for your comment. The other molasses sugar cookie that was inserted into my hub about the ginger plant in our backyard was always my husband's favorite cookie prior to tasting this one with the raisins and walnuts. Now he has 2 favorites! I'll soon end this baking frenzy and start giving the cookies away when I have the right assortment. Our house definitely smells like a bakery these days! Thanks for your comment. Oh no... OOOOH NO. You've found one of my major weaknesses, Peggy W! Molasses cookies are some of my favorites! Even though I prefer to BAKE cookies and not EAT them (I'm not big on sweets), I do love me a good molasses cookie. Thanks for the recipe! I'll have to see how it compares to my go-to molasses cookie recipes. I must be having a cookie craving from looking at all of your cookie recipes this morning! I'll bet my hubby would just love some of these molasses raisin cookies--me too! Enjoyed your step-by-step photos, too. 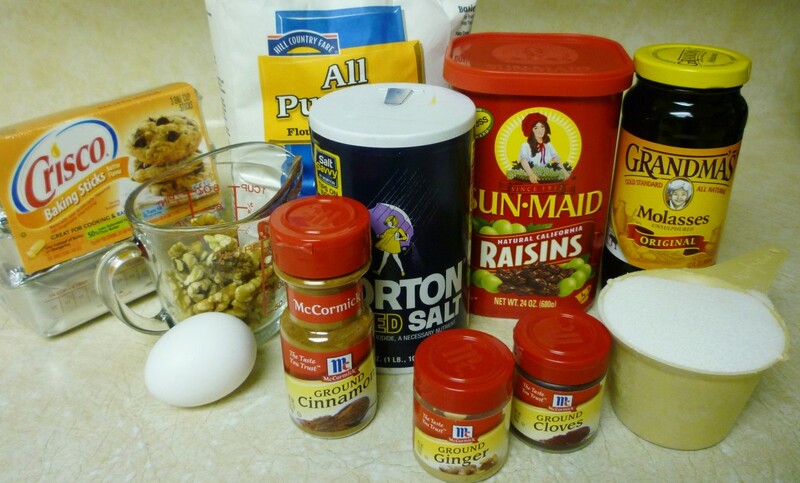 It is good to know that the raisins and walnuts and molasses used in these raisin molasses sugar cookies do have some health benefits as well as making for a good cookie to satisfy a sweet tooth. Thanks for your comment and happy baking! Up, useful, and awesome Peggy. I love sugar cookies:) Absolutely love them. I haven't ever tried them with raisins and molasses though. I will have too make sure I do now. I never knew there were so many benefits from raisins. Another very informative article Peggy with a sweat side. Well done. Hope all is well my friend. Until next time, take care. Thanks for the extra information regarding the molasses. These raisin molasses sugar cookies do have some health benefits if eaten in reasonable amounts. Thanks for your comment. Not only are they delicious (my Mom used to make them too) but I bet the molasses is full of iron which is great as a supplement for those non-meat-eaters amongst us. Ah yes...aren't computers great! If one makes an error...simply backspace and correct. Going back even further than typewriters...just imagine trying to write a manuscript or a book by hand! All the corrections and re-writes! Lots of paper used! Going back even further...probably much of it done by candlelight. Fast forward to today...I'm glad that we have our present conveniences. Ha! Thanks for your comment on this raisin molasses sugar cookies hub. More cookies! You can never have enough cookie recipes as far as I'm concerned. The recipes you share all sound delicious, but the recipes intertwined with your family stories bring them to life and make me want to bake them too! I remember playing with an old non-electric typewriter and having an electric one to use for high school. What a nightmare! While whiteout works for some mistakes there was never a good way to fix an omitted letter or word. I don't miss those days (or getting up to change the t.v. channel). Nice to think that indulging in these raisin molasses sugar cookies can be adding to one's nutrition. Still need to count the calories however. Too bad calories count! Ha! Actually many of these ingredients are healthy for one when taken into consideration of a total diet plan. Thanks for your comment. You can count on a cookie tin filled with these raisin molasses sugar cookies and other assorted ones this year as a gift. Thanks for your comment. I used to have a similar recipe-- these sound really tasty. An interesting thing about it, is that many of these ingredients (molasses, the spices, nuts, raisins--) are now considered to be super nutritious. Thanks. I know you will be pleased when baking these raisin molasses sugar cookies for your cookie exchange. At least it will be easy sharing the recipe with them if they like it! :)) Thanks for your comment. Well...that assures that this family recipe is really an old and tried and true one! If you are anywhere in the neighborhood...drop by and I will give you more than one! :)) Thanks for your comment. I admire you for sharing your delicious cookie recipes and the fact that you have your mother's typed letters dated from the 1970's. 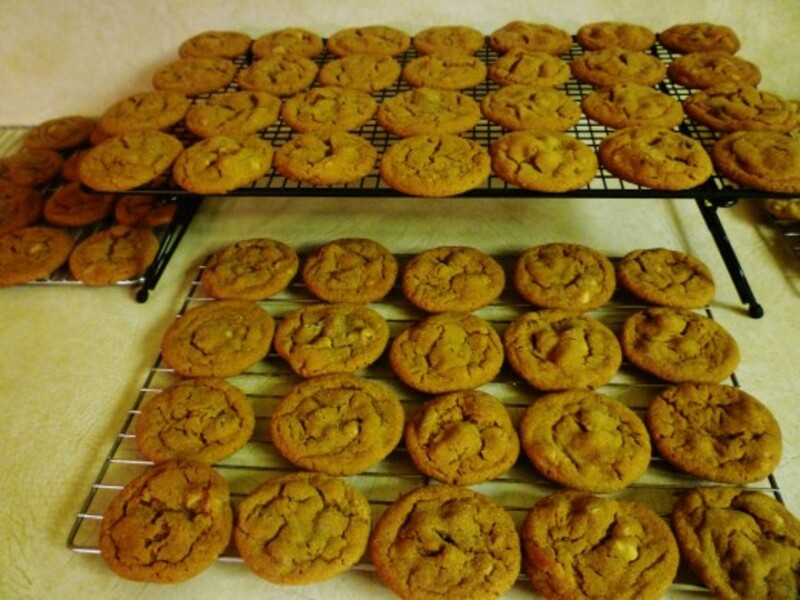 when she shared her molasses sugar cookie recipe and other wonderful recipes that she wanted you to treasure. Your cookie recipes are the best. I look forward to tasting your delicious cookies for the holiday. Great hub and recipe. I have this very recipe! My 93 year old mother in law gave it to me over 20 years ago and the cookies are delicious. Thanks for sharing, and yes, please may I have a cookie? Just one? You guessed it...I am in the midst of my cookie making. Expect a tin this year as a gift for the loan of that terrific slide and negative developer. Made 2 different batches of cookies just today. These raisin molasses sugar cookies are really good if you do some baking of your own. As to the electric typewriters...have you ever sold anything on Ebay? People still purchase them! Thanks for your comment. I think that you will enjoy these raisin molasses sugar cookies. As to the typed letters, I agree that they are more impersonal than hand written ones...but still nice to have when they come from family or friends. Emails...another story. Unless printed out...most of those disappear after being read unless saved. But since we are inundated with emails on a daily basis (at least I am) few tend to get saved...so little to treasure later as time passes. Thanks for your comment. Just in time for Christmas cookie sharing. Thanks, Peggy. P.S. I have TWO IBM selectric typewriters for sale...with extra fonts. I know I am becoming repetitive on all these recipe hubs .....but I am going to try this! Ha! I love cookies and have been dying to try a recipe with molasses. I trust your judgment when it comes to cookies so I think that these will be great! On another note, I too, have saved typed recipes and letters from my grandmother :) They bring back lovely memories and seem warmer somehow. It is funny though because back then if she typed something she would say that a typed letter always is more impersonal than a written one. Her written notes are even dearer to me. Now I know just what she would think of e-mail. This is the time of year that I really gear up and make loads of homemade cookies to be given away as Christmas gifts. I find pretty cookie tins (generally purchase them a year in advance after Christmas when they are on sale) and then when all the various kinds are baked in advance...and many of them can be frozen ahead of time...I then put the assortments together. It turns out to be pretty and everyone seems to love them. Dating myself with those typewriter memories! Ha! I surely appreciate the ease of computers today. Thanks for being the first to comment on this raisin molasses sugar cookies hub.